Feeling exotic? 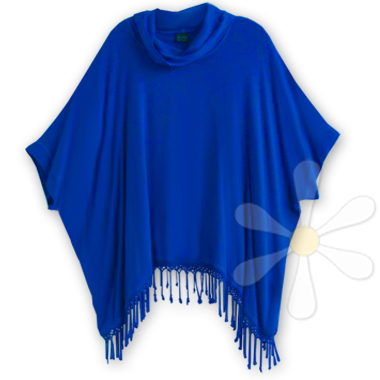 This lovely layer is like liquid sousde that pours down over you, dripping with hand-knotted fringe. The loose neckline pools comfortably to a unique little point (can be worn in front or back). Drop-shoulder sleeves. A yummy finishing touch on your already fabulous susti ensemble! Oh, and it's made from the most luxurious fabric on the planet!